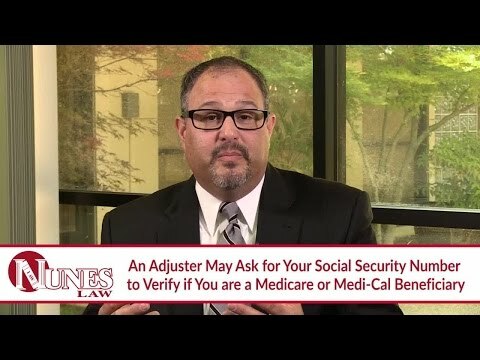 Listen as Frank Nunes explains what information you should give to another driver’s insurance adjuster. Following a motor vehicle collision, you may be asked to provide extensive personal information to an insurance adjuster for a company you do not recognize. They often ask for your full name, date of birth, medical history, vehicle registration, home address, work address, Social Security Number, and much more information. However, you should not provide any of this information to them. If you find yourself in a situation in which you are being asked to provide such information, you need to contact an attorney that will help you to answer these questions in your best interest. The information provided to the insurance accompany can affect how your case and any claims you may have will be treated. An experienced attorney will know how best to respond to these questions. Watch the video to learn more. If you have additional questions, or if you have been contacted by an insurance adjuster seeking information following a car accident, I want you to call me at 559-436-0850. I welcome your call. Visit our firm’s educational website at https://www.nuneslaw.com, where you can view more videos and media content from our law firm.